Painted by Tien-Chun Chang (graduated from School of Medicine, National Taiwan University in 1975) Oil on Canvas, 80 cm x 130 cm, 2017 The description of the painting was written in Chinese by Mei-Chen Hong in 2017 (Mei-Chen Hong was graduated from Department of Pharmacy, National Taiwan University in 1974) and was translated into English by Lin-Chau Chang in 2017 (Lin-Chau Chang was graduated from Department of Pharmacy, National Taiwan University in 2001). The former building of the Department of Pharmacy was located in the College of Medicine, which was a two-story ancient building, classic and elegant. On the right-hand side of the painting is the building depicted by my husband, Prof. Tien-Chun Chang, using a semi-abstract means of artistic expression. The mottled walls and lattice windows spell out so many stories. My husband once cleaned the labwarefor me here, which is also an anecdote. The lush green trees in front of the building were replaced by the withered branches, which implies the perseverance and persistence of our school in safeguarding health. 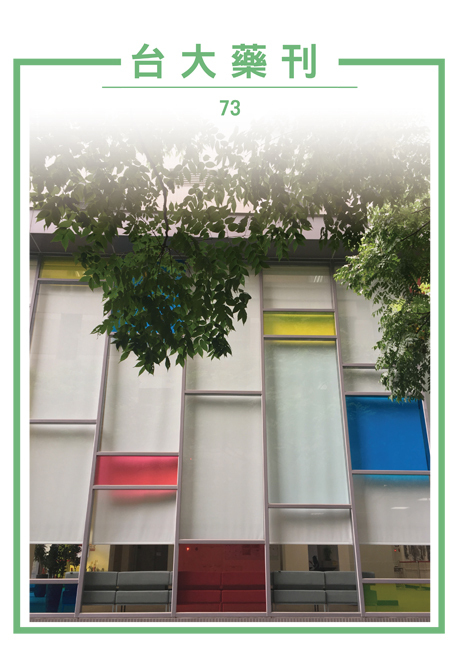 In the center of the painting is the new site for the School of Pharmacy, Shui-Sen Hall, with colorful glass windows. On the left-hand side of the painting is the prospective expansion. My husband enjoys decorating his painting with the moon and the owl, which gives a crucial touch to the picture. 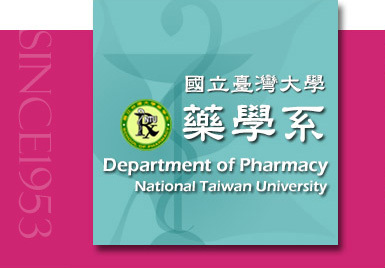 Note: The School of Pharmacy, National Taiwan University was founded in 2013 integrating the Department of Pharmacy, GraduateInstitute of Clinical Pharmacy, and Drug Research Center.